This Egyptian god, portrayed as a jackal-headed man, was the protector of the dead, embalming and funerals. 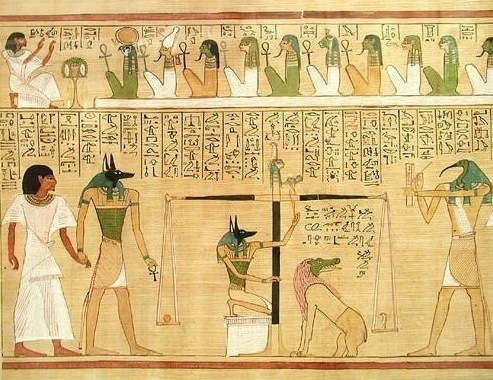 Egyptians apparently sacrificed puppies and dogs to Anubis, a recent examination of catacombs found near a temple dedicated to Anubis suggests that as many as 8 million animals were sacrificed. 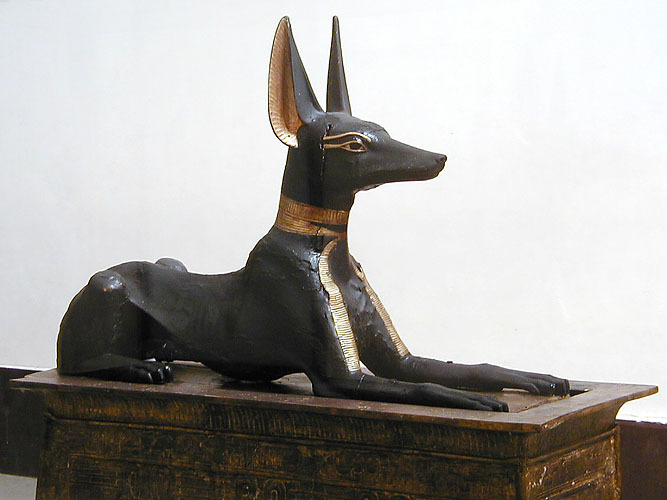 In Early Dynastic Egypt (c. 3100 – c. 2686 BC) Anubis was presented in full animal form. By the Old Kingdom (c. 2686 – c. 2181 BC) Anubis was the most important god of the dead only to be replaced by Osiris by the Middle Kingdom (2000–1700 BC) and assisting Osiris by delivering the dead to him in the Roman period (30 BC).